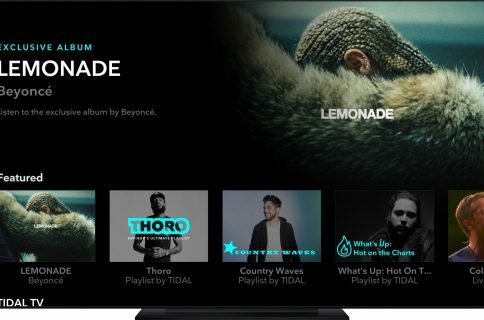 The high-fidelity music-streaming service Tidal today officially launched its Apple TV app, bringing high-quality music streaming to Apple’s living room device and home theater setups. It bring the same HiFi experience you’ve come to expect from Tidal directly on your television. Couch potatoes can now see the latest music videos, concerts and their favorite video playlists in high definition, as well as stream the latest albums and tracks from their favorite artists. 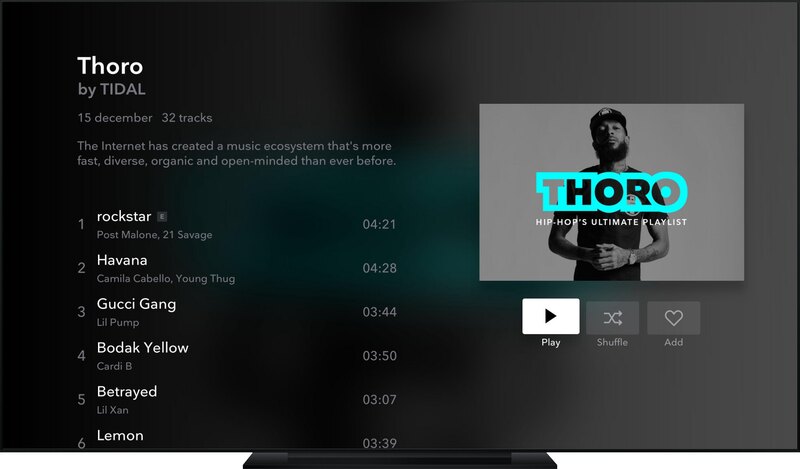 Integrates with your Tidal account—All your personalized favorite content and created playlists are easily accessible through the Apple TV app. 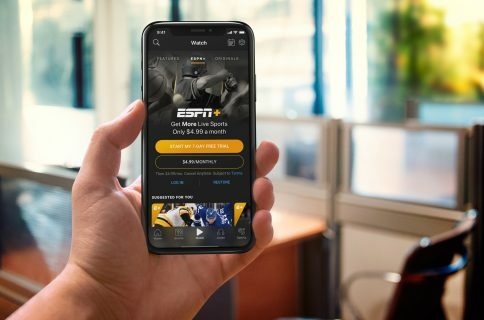 Optimized for television—Developers have designed Tidal for Apple TV to provide the best experience across big screen devices like Apple TV. Content is easy to discover and videos look incredible in high definition on large screens. High-definition music videos—Watch more than 130,000 music videos. No ads. No fuzzy images. Just crystal clear picture. HiFi audio—The same uncompromising, HiFi audio experience to make the most out of your personal home theater. 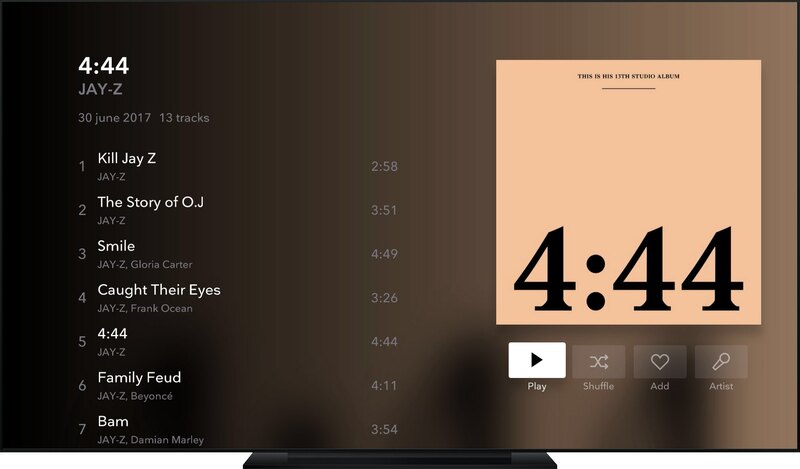 The new Apple TV app arrived by way of an update to Tidal’s existing music-streaming client for iPhone and iPad, which was recently updated with support for CarPlay and iPhone X and is now compatible with the fourth and fifth-generation Apple TV as well. 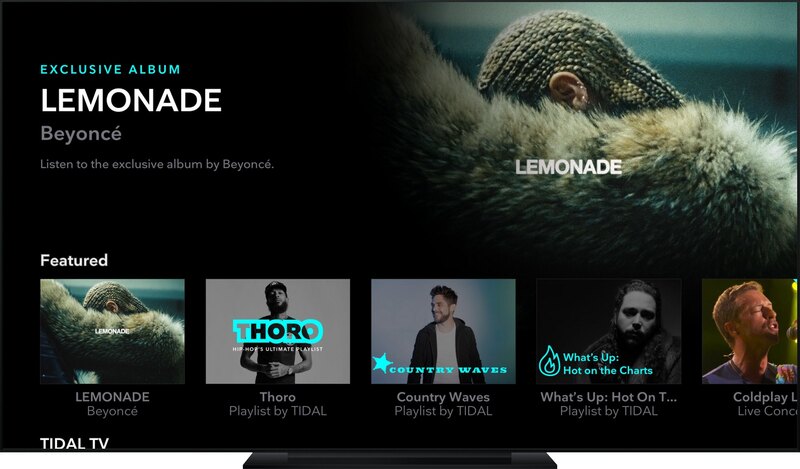 The Verge said that Tidal will be rolling out an app for Android TV later today. Both the standard and premium tiers include HD music videos. According to a recent report, Tidal has only enough cash to last it six months after losing about $44 million last year. Jay-Z and other Tidal co-owners apparently lost $500+ million in all. Spotify, the biggest name in music streaming, is yet to roll out an Apple TV app.